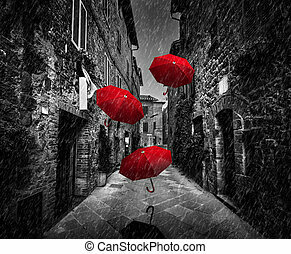 Retro red car on cobblestone historic old town in rain. wroclaw, poland. 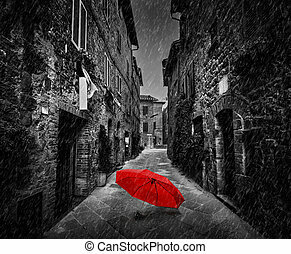 Retro red car on cobblestone historic old town in rain. the market square at night. wroclaw, poland. Retro Red Car On Cobblestone Historic Old Town In Rain. Wroclaw, Poland. 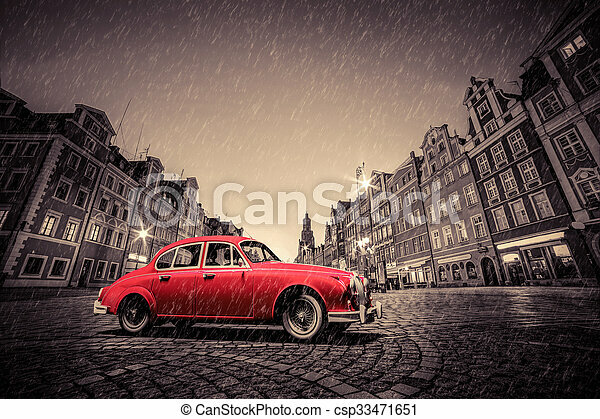 Retro red car on cobblestone historic old town in rain. The market square at night. Wroclaw, Poland. Cobblestone historic old town in rain. The market square at night. 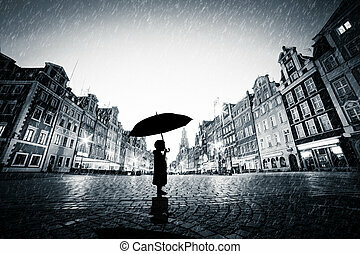 Wroclaw, Poland in vintage, nostalgic mood. Perfect empty space to put your object on the ground. 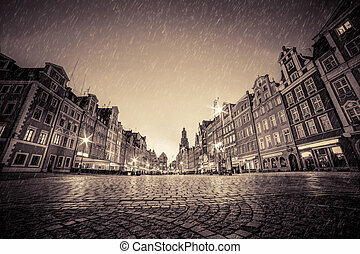 Cobblestone historic old town in rain. The market square at night. Wroclaw, Poland in black and white. Perfect empty space to put your object on the ground.